Since Mohammed Yunis launched Grameen Bank in Bangladesh in 1976, microcredit has become a celebrated tool to help relieve poverty and foster entrepreneurship among the poor. Initially conceived as a purely charitable tool for alleviating poverty by providing small loans, microcredit has expanded to include a variety of financial services for the poor. Under the larger umbrella of microfinance, these services expanded to include loans, insurance and savings products. As demand for microfinance services expanded, many providers aimed to make microfinance a commercially profitable endeavor, allowing it to attract investor capital and thus achieve greater scale. The microfinance industry has since exploded to include over 1,000 institutions serving an estimated 875 million clients. After some initial years of relatively uncritical enthusiasm, there is now a growing debate about the effectiveness of microfinance, especially commercially driven credit, as a tool for ending poverty. This is especially where the focus on scalability has often caused lending institutions to neglect impoverished rural populations. Those farmers who are able to take out loans sometimes borrow for costly agricultural inputs and then become trapped in a vicious cycle of crop failure and debt. But there is another way to help poor farmers access financial services: village savings and Loan associations (VSLAs), which were pioneered by the NGO CARE in West Africa. VSLA groups typically consist of 20 to 30 members who meet weekly to pool their savings and thereby create a loan fund. With the help and training of a facilitator, the members draft their own bylaws and elect their own leaders. At the beginning of the investment cycle, each member deposits an agreed-upon amount in cash. Thereafter, the group meets every week, and individual members make further deposits as determined by the group’s bylaws. After 12 weeks, each member may take out a loan for up to three times the amount he or she has saved. Groups typically have many more savers than borrowers, which ensures that there are adequate funds for those who wish to borrow. The investment cycle is short, usually 12months. At the end,each member receives back their shares plus a portion of any accrued interest or capital gains from fines and fundraising. The group can then choose whether to initiate a second VSLA cycle and reinvest an agreed-upon amount per member. Transparency is a key element of the VSLA system. Thus every member is expected to attend every meeting and make weekly contributions to the savings fund. The fund itself is typically stored in a heavy metal box with multiple locks. VSLAs groups have dramatically improved members’ lives and communities. Successful businesses create new jobs, and interest raised by the bank stays in the local community rather than being transferred to a bank far away. The groups also often establish their own charitable funds to assist members with various needs, such as education fees for their children, medical expenses, or other emergencies. However, the benefits of VSLAs go far beyond economics. Weekly meetings strengthen communities and provide opportunities for personal growth, education, and developing talents and business skills. Those who succeed in their businesses also reach out to help others, so that the entire community benefits. In recent impact evaluations of Plant With Purpose’s Tanzania VSLA groups, it was found that each group member shared their agricultural training with an average of 20 other people. Plant With Purpose is using VSLAs as a vital part of an integrated strategy to address environmental and economic needs. The weekly meetings provide a platform to teach farmers skills that increase agricultural productivity, help access markets, promote crop diversification, reduce deforestation and help farmers adapt to the challenges of global climate change. In Tanzania, for example, Plant With Purpose promoters teach seminars on integrated pest management, composting, intercropping, selective plant and animal breeding, water conservation, reforestation and use of wood-saving stoves. By offering training on such topics, VSLAs can provide an entirely new skill set of agroecological methods, empowering farmers to make a living in ways that also restore and protect the fragile environments where they live. These examples could be multiplied by the thousands, as farmer’s apply their ingenuity and resources to address their specific needs. The ability of VSLAs to facilitate local community problem solving is one important reason why these and similar groups are proliferating (currently there are an estimated 500 million microsavings accounts around the world). As rural farmers continue to cope with the growing challenges caused by climate change, VSLAs are a valuable tool to help them meet today’s needs while preparing for an increasingly uncertain future. This is a draft of an article I’m working on about the impact of Village Savings and Loan Associations (VSLAs). VSLAs have become a very important part of Plan With Purpose’s work. There is a tremendous about of diversity in how these groups work, so this is quite simplified. Hopefully accurate, though. Your feedback is welcome! Since Mohammed Yunis launched Grameen Bank in Bangladesh in 1976, microcredit has become a celebrated tool to help relieve poverty and foster entrepreneurship among the poor. Initially conceived as a purely charitable tool for alleviating poverty by providing small loans, microcredit expanded to include a variety of financial services for the poor. 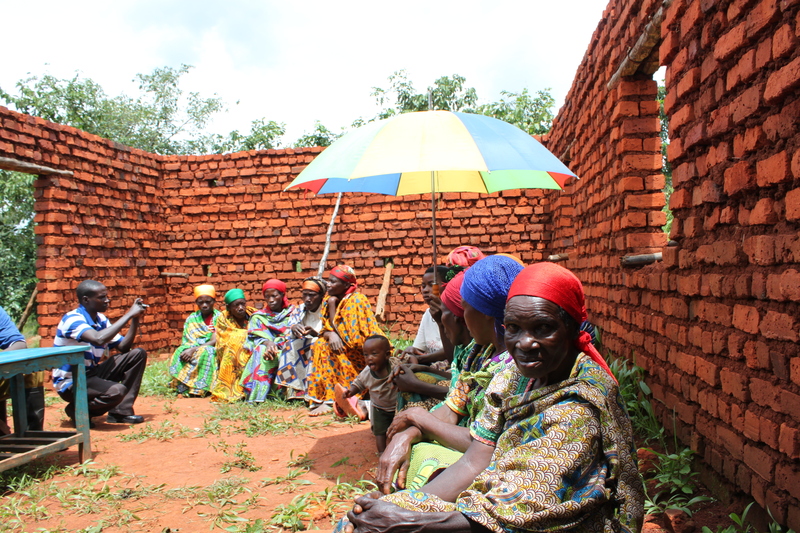 Under the larger umbrella of microfinance, these services expanded to include loans, insurance and savings products. As demand for microfinance services expanded, many providers aimed to make microfinance a profitable endeavor allowing it to attract investor capital and thus achieve greater scale. The microfinance industry has since exploded to include over 1,000 institutions serving an estimated 875 million clients. After some initial years of relatively uncritical enthusiasm, there is now a growing debate about the effectiveness of both these credit mechanisms as tools for ending poverty. This is especially true where the focus on scalability has often caused lending institutions to neglect impoverished rural populations. Those farmers who are able to take out loans sometimes borrow for costly agricultural inputs and then become trapped in a vicious cycle of crop failure and debt. 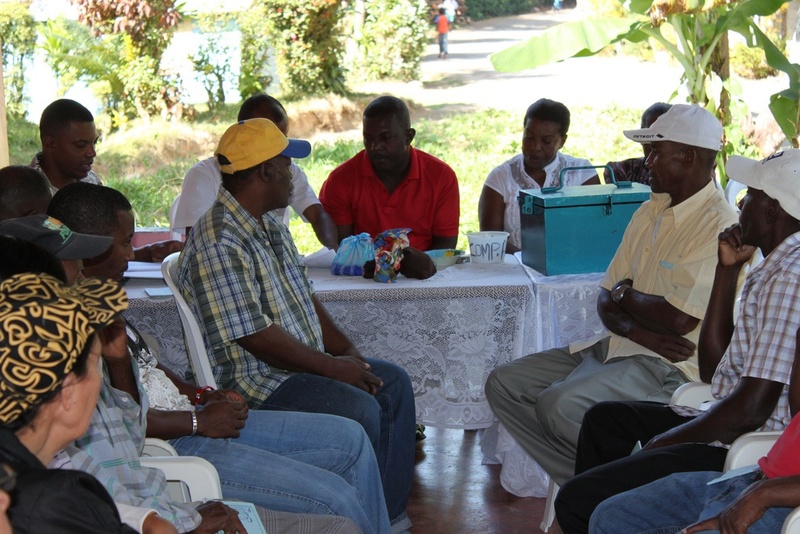 VSLA groups typically consist of 20 to 30 members who meet weekly to pool their savings and thereby create a loan fund. With the help and training of a facilitator, the members draft their own bylaws and elect their own leaders. At the beginning of the investment cycle, each member deposits an agreed-upon amount in cash. Thereafter, the group meets every week, and individual members make further deposits as determined by the group’s bylaws. After 12 weeks, each member may take out a loan for up to three times the amount he or she has saved. Groups typically have many more savers than borrowers, which ensures that there are adequate funds for those who wish to borrow. The investment cycle is short, usually 12 months. At the end,, each member receives back their shares plus a portion of any accrued interest or capital gains from fines and fundraising. The group can then choose whether to initiate a second VSLA cycle and reinvest an agreed-upon amount per member. VSLAs have dramatically improved members’ lives and communities. Successful businesses create new jobs, and interest raised by the bank stays in the local community rather than being transferred to a bank far away. [ii] The groups also often establish their own charitable funds to assist members with various needs, such as education fees for their children, medical expenses, or other emergencies. However, the benefits of VSLAs go far beyond economics. Weekly meetings strengthen communities and provide opportunities for personal growth, education, and developing talents and business skills. Those who succeed in their businesses also reach out to help others, so that the entire community benefits. [iii] In recent impact evaluations of Plant With Purpose’s VSLA groups, it was found that each group member shared their agricultural training with an average of six other people. [iv] Plant With Purpose VSLAs also provide opportunities for local churches to engage with the needs of their communities and find news ways to serve the most vulnerable. Plant With Purpose is using VSLAs as a vital part of an integrated strategy to address environmental and economic needs. The weekly meetings provide a platform to teach farmers skills that increase agricultural productivity, help access markets, promote crop diversification, reduce deforestation and help farmers adapt to the challenges of global climate change. In Tanzania, for example, Plant With Purpose promoters teach seminars on integrated pest management, composting, intercropping, selective plant and animal breeding, water conservation, reforestation and use of wood-saving stoves. By offering training on such topics, VSLAs can provide an entirely new skill set of agroecological methods, empowering farmers to make a living in ways that also restore and protect the fragile environments where they live. The ability of VSLAs to facilitate local community problem solving is one important reason why these and similar groups are proliferating (currently there are an estimated 500 million microsavings accounts around the world). As rural farmers continue to cope with the growing challenges caused by climate change, VSLAs are a valuable tool to help them meet today’s needs while preparing for an increasingly uncertain future.